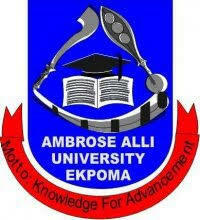 This is to inform all graduands of the Ambrose Alli University (AAU), Ekpoma that all Certificates, including Diploma, First Degree, Postgraduate Diploma, Master Degree and Ph.D, that have been approved by Senate are ready for collection. Procedure for Collection of AAU Certificates. Click Certificate to check for the status of your Certificate. Pay the prevailing fee and come with your receipt to Senate Services Division for collection of your Certificate. The current fee for Certificate is N10,000.00, however, the fees for Certificates older than 5 years is N30,000. Postgraduate Certificate fee is N30,000. Hurry now to avoid payment of penalty for late collection of Certificate. Medical and Law graduands of the 2016/2017, 2017/2018 Sessions are requested to pay the Certificate fee of N10,000 and come with the receipt to the Deputy Registrar (Senate) in order for their Certificate to be given accelerated processing. This is to avoid the last minute rush for the Certificate which is a requirement for Call to Bar and for Medical license. Graduands are advised to request for collection of certificate promptly. Kindly avail yourself of this rare opportunity.